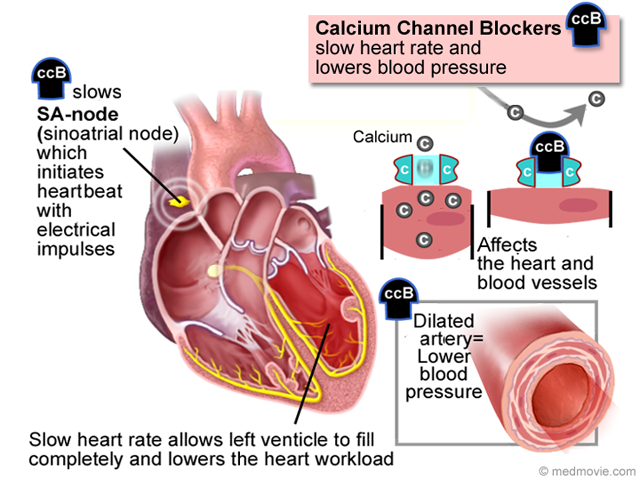 Calcium Channel Blockers are drugs that block the movement of calcium into heart and blood vessel muscle cells, which can decrease the pumping strength of the heart and relax blood vessels. 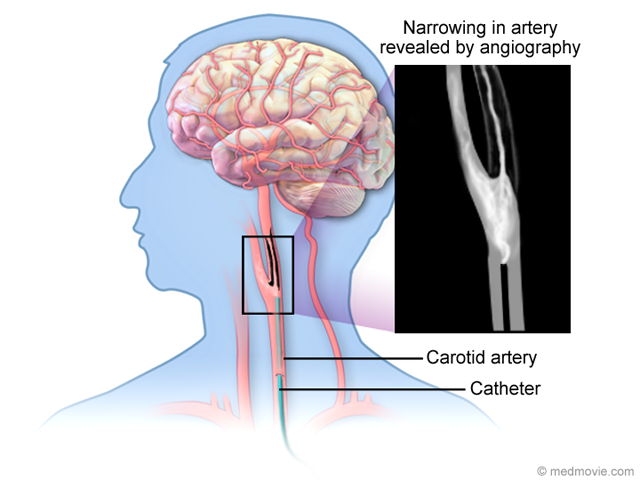 This causes the muscles to relax, lowering blood pressure, slowing the heart rate and decreasing oxygen demands of the heart. 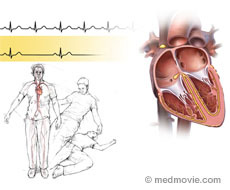 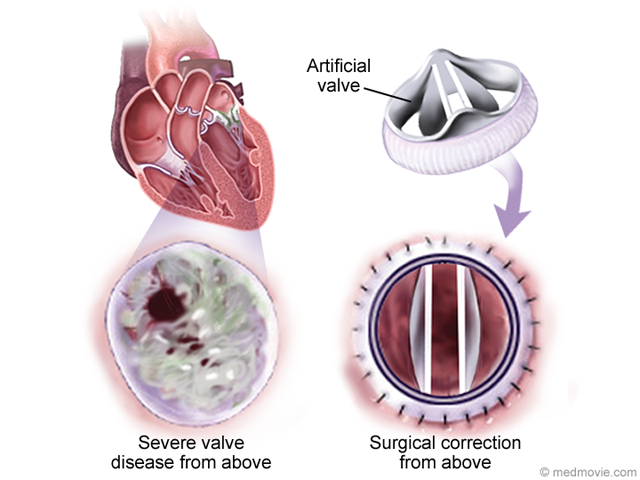 They are used to treat high blood pressure and chest pain (angina) caused by reduced blood supply to the heart muscle, as well as some abnormal heart rhythms (arrhythmias).